PAC-MAN PLAY™ is NAMCO ENTERTAINMENT's newest entertainment center brand. 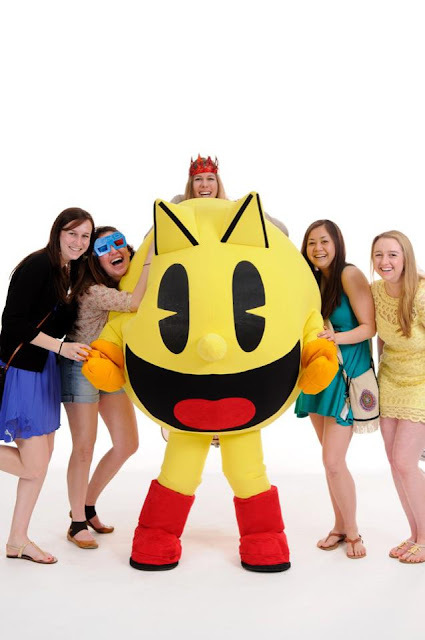 PAC-MAN PLAY™ offers cooperative and competitive game play that encourages social interaction with a reward of prizes. 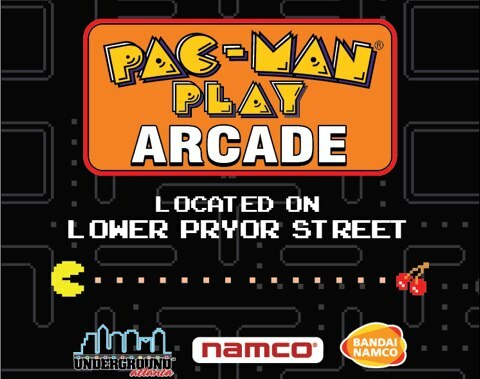 The new arcade features a variety of video, ticket and merchandise games, a PAC-MAN PLAY redemption center where tickets can be exchanged for a selection of prizes, and a five-foot-tall PAC-MAN figure for photo ops. Note: more vintage PAC-MAN arcade games will be delivered in the coming weeks; currently there is one onsite, along with other popular arcade and video games.